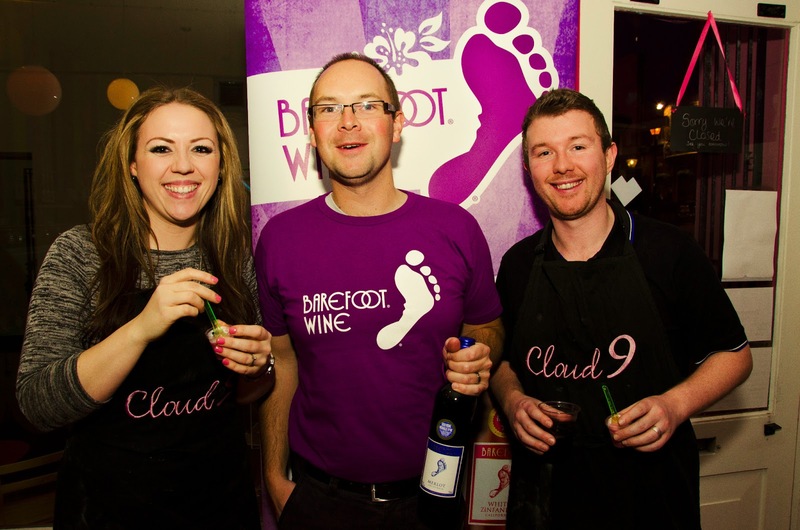 Cloud 9, a cake and ice cream shop based in Brighton's Lanes, joined forces with Barefoot wines to launch their new Dessert Club. 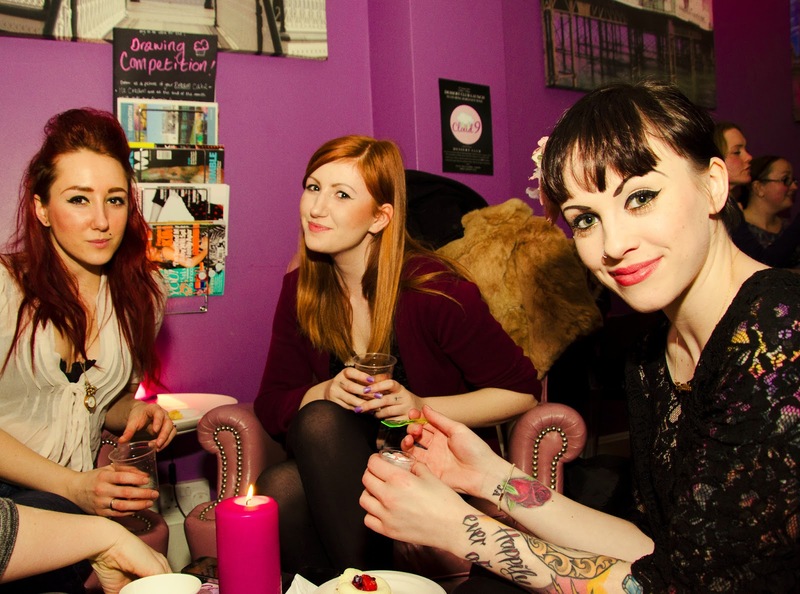 This monthly event showcases the shop's best sweet treats, accompanied by complimentary glasses of wine. Sounds like the perfect girly evening to me! Cloud 9's goodies are made on site daily with the best natural ingredients. Their menu is full of exciting and unusual specimens. Peanut and caramel cake anyone? Or how about cake batter ice cream? Barefoot Wines also share the same passion and vibrancy. Their belief is that anyone should be able to enjoy their wines, from first-timers to wine enthusiasts. 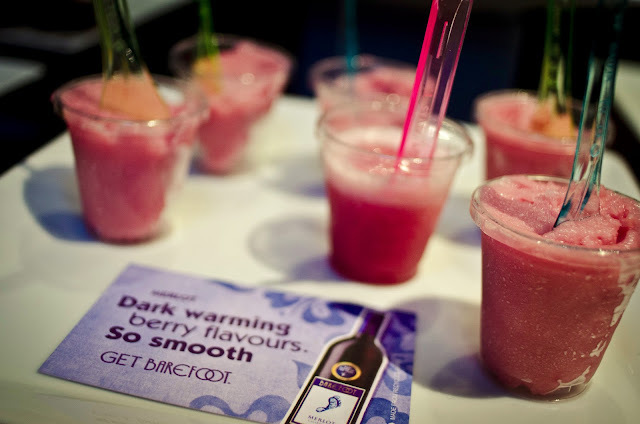 Cloud 9 created a limited edition sorbet on the night, made with Barefoot Merlot*. It's a very grown-up and naughty sorbet, as the Merlot combines flavours of cherry, boysenberry, plum and chocolate! If you fancy at having a go at making it yourself, scroll down for the recipe. It's super easy to make and would be an excellent Valentine's day dessert! In a medium, nonreactive saucepan, bring the Barefoot Wine Merlot, water and sugar to a boil. Remove from the heat, add the raspberries, and let cool to room temperature. Pass the mixture through a food mill fitted with a fine disk, or purée in a blender or food processor and then press the purée through a strainer to remove the seeds. Chill the mixture thoroughly, then either freeze it in an ice cream maker or move the mixture into a metal bowl and freeze for three hours. Before serving this sorbet should be stirred. Serve in chilled glasses. Barefoot Wines retail at £6.69 and are available at most supermakets and a growing number of bars, pubs and clubs. Find out more at www.barefootwines.co.uk (there's more brilliant recipes there too). Visit Cloud 9 at 15 Brighton Lanes, Brighton, BN1 1HJ. Will you be trying the sorbet? 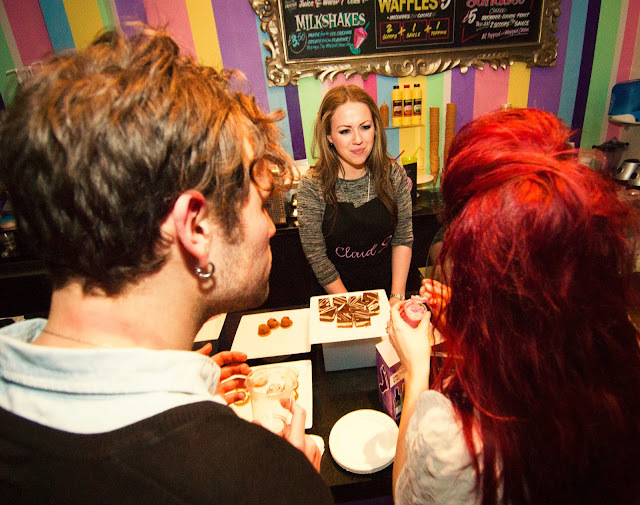 What do you think of Cloud 9's Dessert Club? 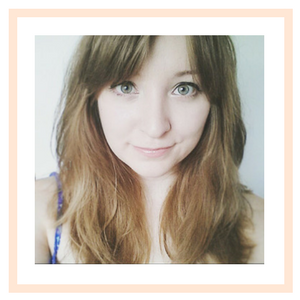 Brighton Girl's First Birthday...& giveaway!